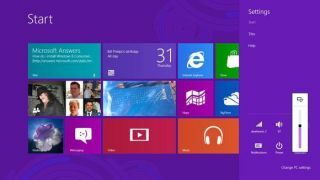 Just one day after Windows 8 was released to manufacturers, a final version has made its way online. No word from Microsoft on how the leak happened, but the final build is now widely available across multiple file sharing sites. The leaked version is an "N" edition of Windows 8, meaning it does not include a bundled copy of the Windows Media Player. Microsoft was reportedly forced to create special N versions of Windows after a 2004 European Union ruling said the company needed to provide a copy of Windows without the player tied to it. The OS wasn't set to debut publicly until October 26, with the earliest release date set for developers August 15.